I use Steam Big Picture to play games on a 64-bit Windows 7 home theater PC hooked up to my living room television. I recently decided that I wanted a headset for group chat in games like Borderlands. I already use a Wireless Xbox 360 Controller for Windows (with the included wireless gaming receiver) for my games, and it works great. My initial thought was that I could just plug a headset into the 2.5mm jack on the bottom of the wireless controller. Looking around online, there's a unanimous sentiment that this won't work (apparently, the jack can only be used with a wired controller on a PC). 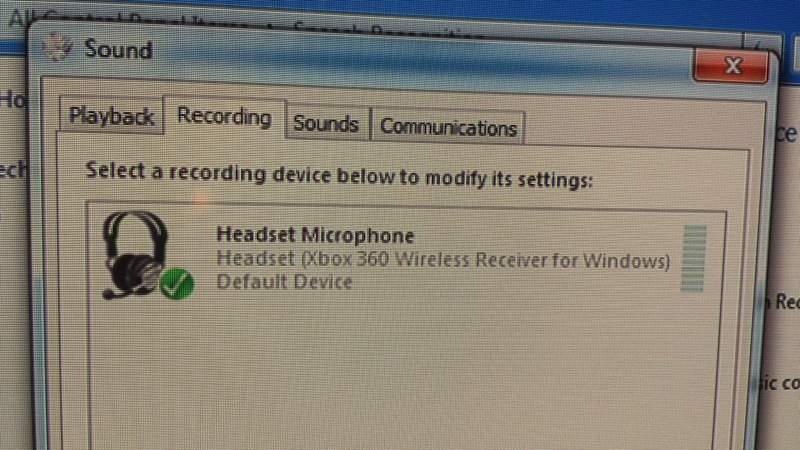 My next option was the Xbox 360 Wireless Headset. On the old model, it seemed fairly clear that it would link with a wireless gaming receiver on a PC. 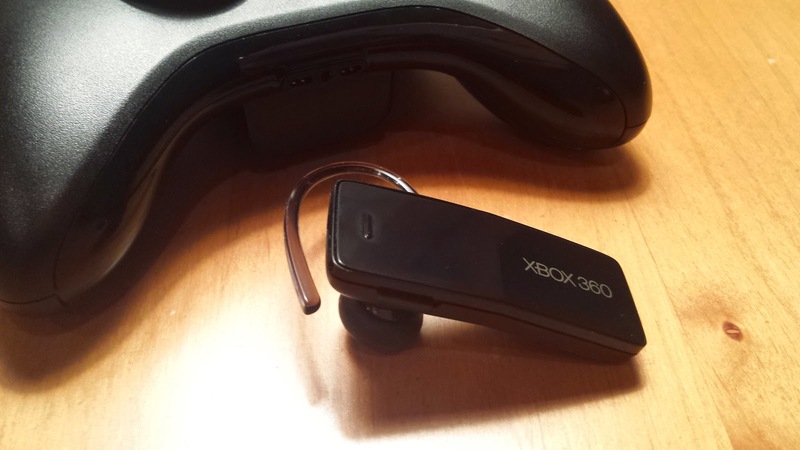 However, there was a lot of conflicting information whether this would work with the current-model Xbox 360 Wireless Headset with Bluetooth. Some people in the Amazon reviews say it works; others say it doesn't. I don't have Bluetooth on my HTPC, so my goal was to connect over my existing wireless gaming receiver. To begin, I followed the instructions and 1) powered up the headset in "Xbox Mode", 2) pressed the Connect button on the headset, and then 3) pressed the Connect button on the wireless receiver. The ring of lights on the headset started flashing, but there was no headset showing up anywhere on the PC. Crap. Knowing that the receiver can be finicky about pairing with devices, I then unplugged the receiver from its USB plug on the PC, then plugged it back in. Immediately, I got a Windows notification of a new headset device. A few seconds later, the drivers were automatically configured and Windows recognized that I had a headset installed. 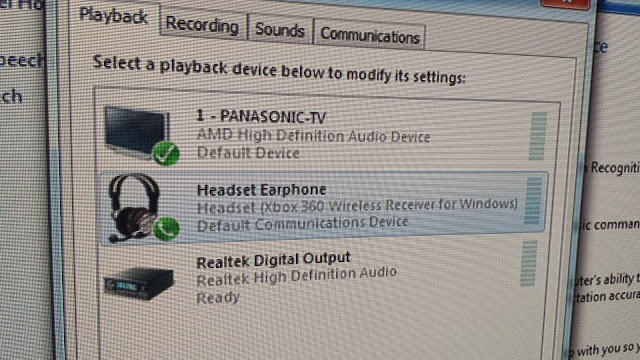 ...and also made sure it was set to the default Recording device. As far as I can tell, everything works as expected. 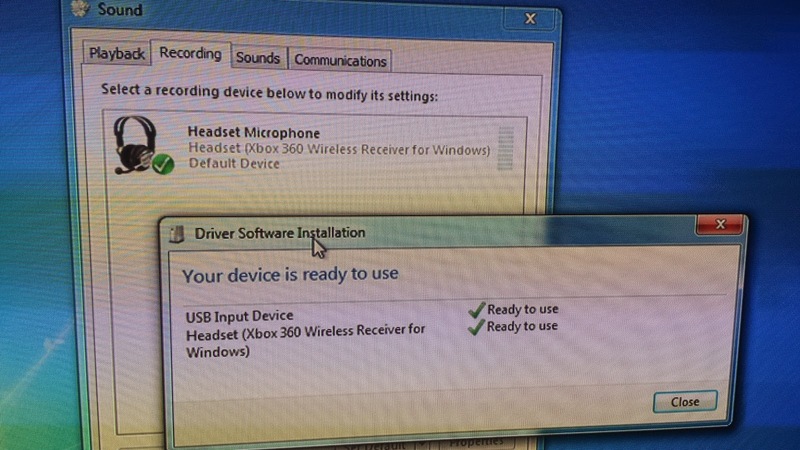 So, there's proof positive that the Xbox 360 Wireless Headset with Bluetooth works on a PC using the Wireless Gaming Receiver for Xbox 360 controllers.